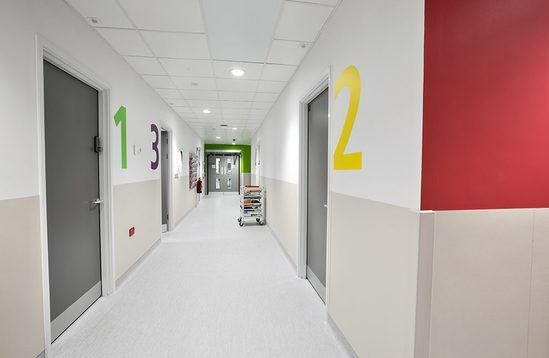 The King Edward Building at Bristol Royal Infirmary underwent a major renovation as part of a large refurbishment programme. 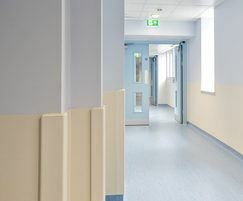 Modern, durable interior finishes were required to stand up to the daily wear and tear expected in a busy hospital environment. CS supplied an extensive wall protection package to prevent wear and tear caused by impact damage. 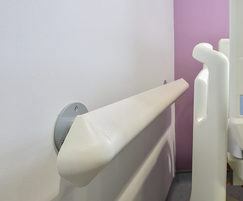 The products were installed by company's in-house installation team Conspec Contracts. 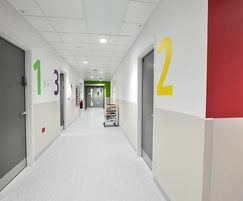 Impact-resistant, 2mm Acrovyn Textured Sheet was fitted at dado height in all circulation areas. 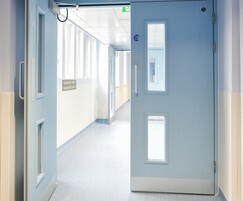 It was also used as cladding to protect vulnerable doors throughout the hospital. External corners were protected using a range of Acrovyn corner guard options. Severe duty SM20 corner protectors on aluminium retainers were used in main circulation areas subject to regular damage, whist stick-on SCG50 and SCGv50 variants were applied to less vulnerable corners. 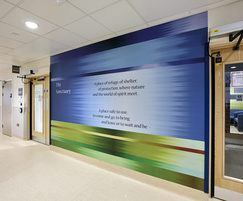 CS also supplied a custom-printed Acrovyn by Design mural for the entrance area to a new multi-faith sanctuary. 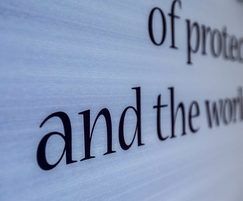 Embedded behind a durable, wipe-clean surface of Acrovyn 4000 Sheet, the artwork is safely protected from wear, tear and impact damage. With the installation of CS’ interior protection package, the facility is now easy to clean and maintain for years to come.